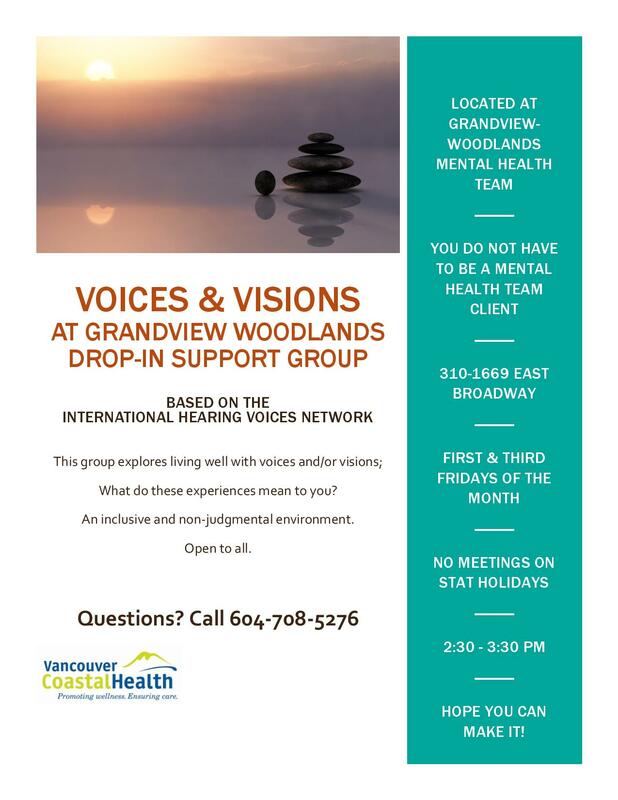 These peer led groups are based on the International Hearing Voices Network and explore living well with voices, visions and other unusual sensory experiences as well as coping skills. They offer a supportive non judgmental place to share. People do not have to be mental health team clients to attend. Call 604-708-5276 for more information. New dates for March – June, 2019! 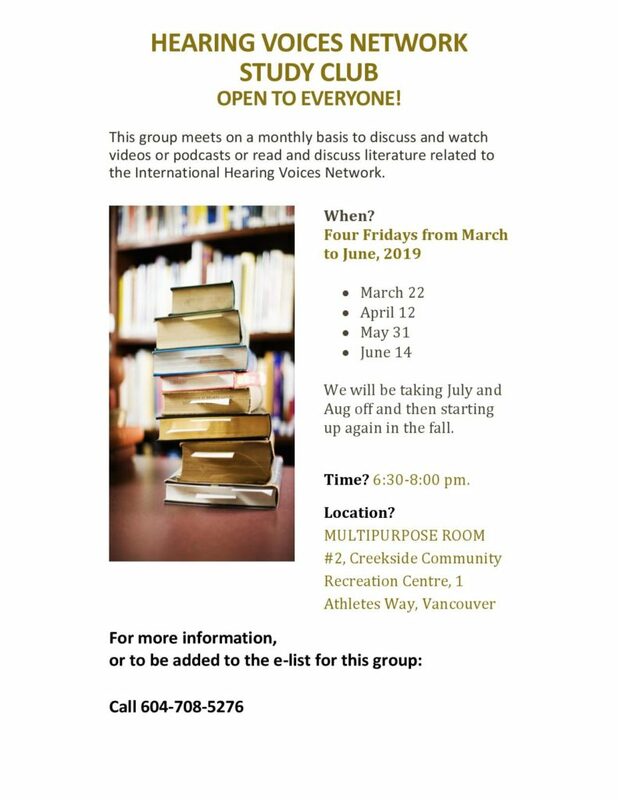 Note: the study club is open to everyone: people with unusual sensory experiences, family members, friends, service providers, or people in the community who are just interested. We run it a bit like a book club. We watch videos, listen to podcasts or read articles related to the international hearing voices network and then we discuss. See flyer below for details. 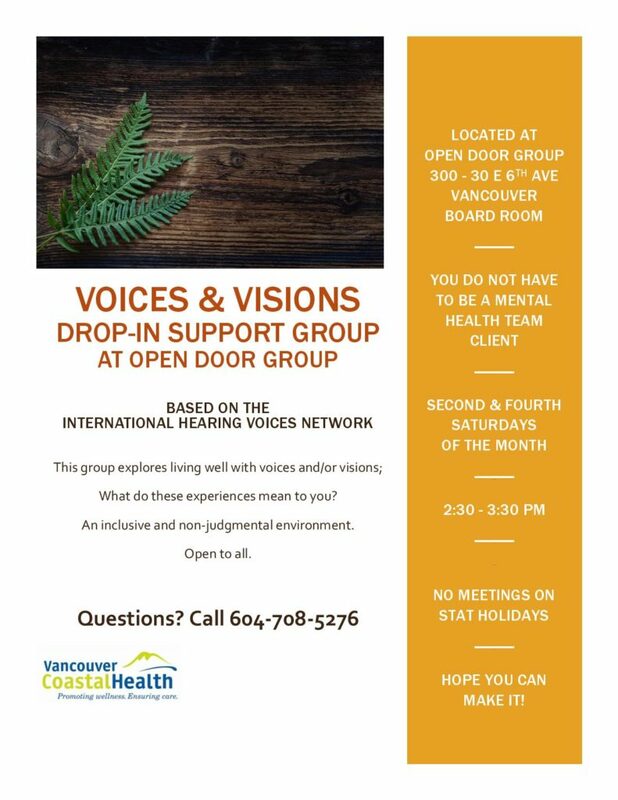 We also have a closed Hearing Voices Support Group open only for clients of the Ravensong Mental Health and Substance Use Team and a closed group open only for residents of the Segal Building at Vancouver General Hospital. For information, call 604-708-5276.